VITROCELLs® dedication to the development of systems made to the highest specifications has culminated in the customized, high-tech equipment solutions for skin tissue exposure to solid, pasteous, liquid or gaseous substances available today. 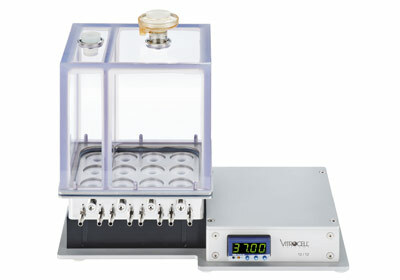 VITROCELL® Skin modules are a powerful alternative to glass-made Franz cells as they provide improved handling, higher throughputs and automation options. They are custom built in stainless steel with 6 to 8 exposure compartments. The exposure surface dimensions and receptor-media volumes are manufactured according to client specifications. 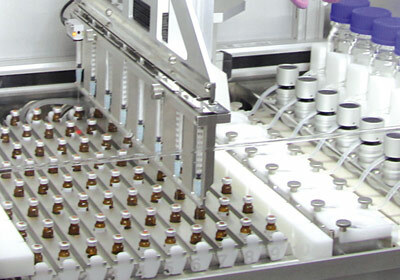 All units have a unique magnetic stirring capability. The VITROCELL® Skin modules satisfy the highest demands for precision required in cutting-edge dermatological research today. The electropolished stainless steel finish ensures that the modules are extremely durable and long lasting. Module with exposure surface area of 1 cm2. Module with exposure surface area of 4.9 cm2. 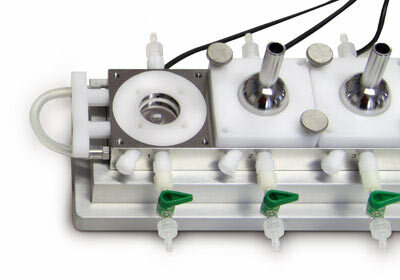 Module for the direct exposure of skin tissue to liquid aerosols. 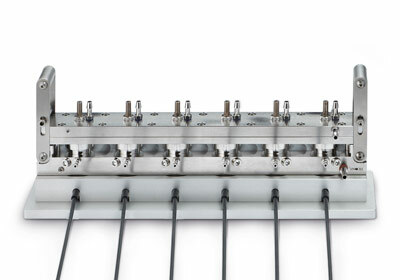 Automated system for kinetic studies.